Has a Brig. 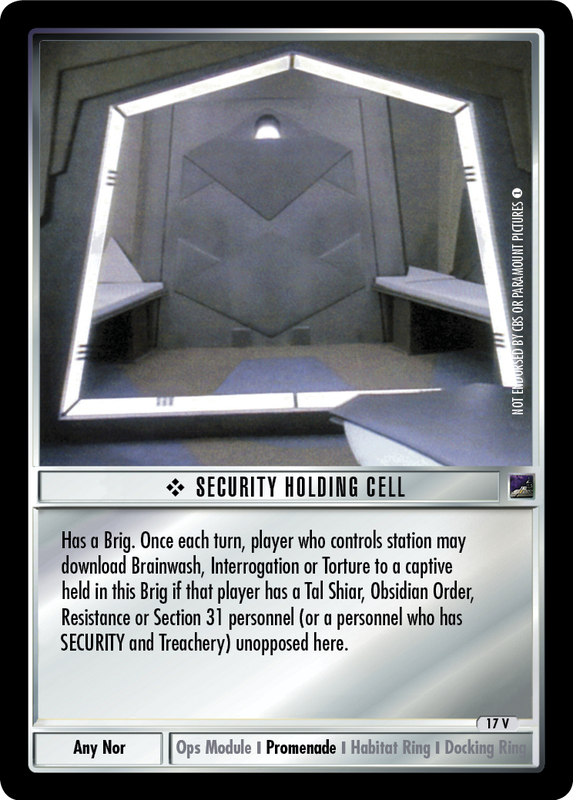 Once each turn, player who controls station may download Brainwash, Interrogation or Torture to a captive held in this Brig if that player has a Tal Shiar, Obsidian Order, Resistance or Section 31 personnel (or a personnel who has SECURITY and Treachery) unopposed here. Image Source: Deep Space Nine: "Captive Pursuit"